Jane is an 18-year-old university student who becomes very distressed prior to her examinations. Her parents’ pending divorce and increasingly frequent arguments with her boyfriend do not help. She feels apprehensive and on edge. Jane finds it hard to fall asleep and has lost her appetite. She cannot concentrate and frequently finds herself breathless and sweaty. Have you ever experienced any of the above symptoms? Have you ever felt as if you cannot cope? Have you ever felt like Jane? Danish philosopher and theologian Soren Kierkegaard thought of anxiety as the dizzying effect of looking into the boundlessness of one’s own possibilities. International stars Emma Stone, Amanda Seyfried and Kristen Stewart have experienced this. According to the World Health Organisation, approximately 6.8 million adults suffer from anxiety worldwide. By definition, this is the emotion of nervousness, worry or unease about a situation with an uncertain outcome. Anxiety is twice as common in women as in men. Some anxiety is normal and can actually improve performance when sitting for exams. However, in excess it can be a severely debilitating disorder. Pathological anxiety leads to significant stress and affects one’s functioning in society: work, school and one’spersonal relationships. Several types of anxiety disorders exist, including generalised anxiety disorder, panic disorder, obsessive-compulsive disorder, phobias and hoarding disorder. Marital separations, abuse (physical, emotional, financial), unemployment, physical illness, alcohol, drug use and genetics. First degree relatives of patients with an anxiety disorder have a quadrupled risk of developing an anxiety disorder. Certain life stressors are inevitable, but how one reacts to them makes a huge difference. If you feel overwhelmed, seek professional help. • Physical – elevated heart rate, sweating, trembling, shortness of breath, chest pain or discomfort, nausea, abdominal distress, muscle tension, restlessness. • Psychological – dizziness, light headedness, worry, apprehension, feeling on edge or keyed up. At least four of the above-mentioned symptoms need to be present almost daily for six months, to diagnose generalised anxiety disorder, according to the International Classification of Diseases, 10th Edition (ICD-10). Anxiety may be co-morbid with a number of other psychiatric disorders for instance: depression, alcohol and substance abuse, bipolar disorder, personality disorders, eating disorders, sleep disorders and psychosis. Management of this condition involves the multi-disciplinary team approach consisting of the psychiatrist, psychologist, occupational therapist and social worker as necessary. Treatment comprises two major modalities: pharmacological – antidepressant medication and psychological therapy and support. If you feel any of the above symptoms, it is important to visit your general practitioner for a check-up in order to primarily exclude medical conditions that may present similar to anxiety, such as hyperthyroidism. Following the assessment, your family doctor will refer you to the appropriate specialist as necessary. If you feel you need to speak to a doctor urgently, call your nearest health centre or the Accident and Emergency Department and they will liase with the psychiatric team on call as necessary. Remember: have courage, you are not alone. Emma Saliba is a psychiatric trainee. 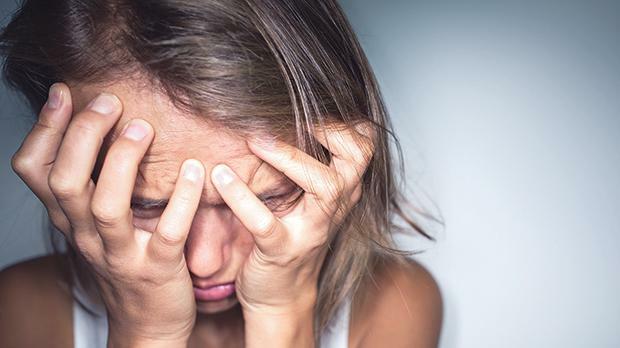 This article was submitted as part of the public awareness campaign Serraħ il-Menti, aimed at providing the public with accessible and reliable information on mental health. For more information, send an e-mail to the Malta Association of Psychiatric Trainees on publicrelations.mapt@gmail.com or visit www.mapt.org.mt.